For years, designers and developers have been back and fourth over the subject of websites for mobile phones, and should we create separate sites to support smaller devices? Prior to responsive design, users accessing the internet online through a mobile device were probably viewing actual full web sites on the internet. This tended to slow down devices, not show all the options, not move, scroll or click through quickly. 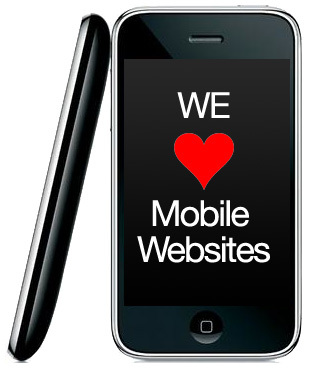 Some people do believe in creating a separate site for mobile users. We can see the point in that, you want to be able to access something that you recognize is the site you’re visiting and that site needs to be as functional through your mobile, as it is through a PC. Problems that occur when creating separate sites are the consistency of design, some products or services may be missing from the mobile site, prices and offers may vary from the original site which could annoy customers. Information may be missing. Obviously, it is difficult to load everything onto the mobiles site, due to the fact is is a scaled down version and needs to be completely functional. Responsive design has allowed designers and developers to create brand consistent websites that not only look incredible through a PC but respond to the resolution settings on Mobile Phones and tablets. It is the ideal solution to a previous issue of creating separate sites. You have one site, with all products and services and this site will respond to the device its being viewed through, incredibly clever, time saving and well…a designers dream. Juno Web Design love responsive design, we’ve been working on sites for a few clients that use the responsive structure. There will be, no doubt, certain people who don’t really think that responsive design is all that, but with the right skills and team, your site can not only look stunning, but be completely functional through all media platforms.